For the third time in as many months, IHG is to run a Flash Sale for hotels across the UK and Europe with rates once again expected to be ‘banded’ at £29, £39, £49, £89, £129 and £169. The promotion will be open to IHG Rewards members, but non-members can join in advance or during the booking process and membership is free of charge. The stay dates haven’t been announced yet, but they tend to cover the traditionally-quieter holiday periods when business bookings are down. The sale itself will officially commence at 00:01 GMT on Wednesday 16th January and last for 48 hours only. 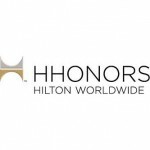 In both of the last sales, however, rates became available some time before midnight and precedent suggests that existing IHG Rewards members may additionally be afforded access to the rates a whole 24 hours earlier. It’s likely that there will be some slight variations between the ‘banded’ rates advertised and the actual ones showing availability, although this will probably something to do with minor fluctuations in foreign exchange rates. As before, and particularly at the higher ‘bands’, it’ll still be worth checking the best available non-sale rate at relevant hotels as well. 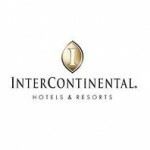 For more details, to check the terms & conditions, availability and to book once the sale launches, visit ihg.com. If this brings on a sense of deja vu, don’t worry; IHG did indeed run a Flash Sale just a month ago and now they’re repeating it this Black Friday weekend. Rates are once again expected to be ‘banded’ at £29, £39, £49, £89, £129 and £169. The promotion is open only to IHG Rewards members, but non-members can join during the booking process and membership is free of charge. The stay dates haven’t been publicly confirmed yet, but we’re expecting them to cover the traditionally-quieter holiday periods when business bookings are down. The sale itself will officially commence at 00:01 GMT on Friday 28th November and last for 48 hours only. Last month, however, rates became available some time before midnight and IHG’s Facebook page is now advertising that existing IHG Rewards members may additionally be afforded access to the rates a whole 24 hours earlier. 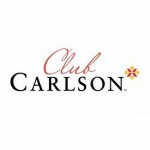 Update: the Sale is now live at this offer page on ihg.com. Members of the IHG Rewards programme can book rooms at IHG’s Holiday Inn Express hotels from just £25 (EUR25 in Europe) per room per night, in a flash sale running today and tomorrow – the 25th and 26th November 2013. The Christmas Has Come Early This Year Sale also offers rooms at Holiday Inn properties for £35/EUR35, at Crowne Plazas for £45/EUR45, at Hotel Indigos at £65/EUR65 and at InterContinentals for £125/EUR125. 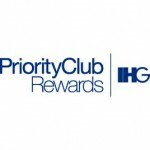 According to the terms and conditions, the rates do not earn points and stay credits in the IHG Rewards programme itself, although some hotels are known to apply points and credits on these types of rate. The Ts&Cs also note that there are a total of 25,000 room nights available and that bookings must be made by telephone using the rate code ‘Christmas’. However, online bookings can in fact be made in the Christmas Has Come Early This Year sale, by visiting the special page at IHG.com. Full terms and conditions are available from the same page. Bookings must be made by 23:59 GMT on Tuesday 26th November 2013, such time as all 25,000 room nights have been sold. Stays can take place between 16th December 2013 and 26th January 2014. 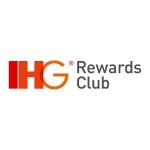 Membership of IHG Rewards is free of charge and instant. To join, visit IHGRewards.com. 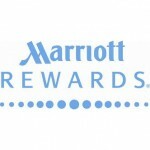 Most of the major global hotel brands have now launched their bonus promotions for the first three or four months of 2012. So, here’s the Continental Club guide to five of the biggest promotions and how to register for them. Remember, membership of these programmes is free and you can sign up for the promotions as soon as you become a member – or even at the same time as you become one. With a population of 400,000, the Mediterranean island of Malta is barely bigger than Bristol. And yet, in less than thirty years, this dusty rock between Sicily and North Africa has gone from being something of a premium hotel no-go zone, to offering choices from a fairly extraordinary range of major global chains. Today, Starwood present their Westin and Le Meridien properties, and now Radisson BLU, Corinthia, Hilton, Kempinski, Golden Tulip, Maritim, RIU and even Relais & Chateaux are also to be found clinging to the cliffs of this largely beach-bereft former British colony.